The welfare of animals is often overlooked in times of crisis. In Ukraine, thousands of zoo animals face starvation as budgets have been slashed after the former president and his cronies fled the country with an estimated $70 billion in taxpayer dollars. 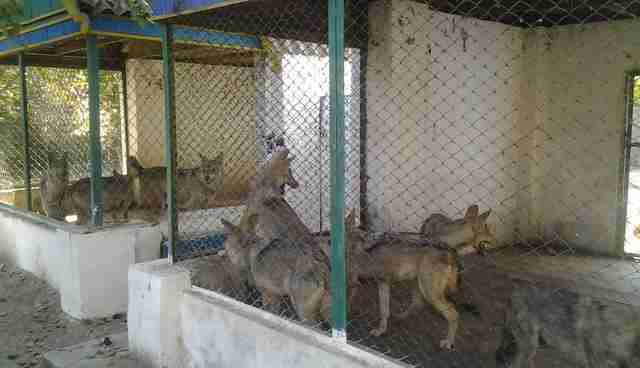 But a South African organization has stepped in to make sure that Ukraine's zoo animals don't waste away. In the case of one filthy private zoo abandoned by an oligarch in Kherson, Ukraine, they're transforming the zoo into a sanctuary with plenty of room to run and play. In the next 24 hours, they need our help. The Lawrence Anthony Earth Organization, Ukraine Chapter has only one day left to raise $3,000 to complete their fundraising goal to turn the Soviet era zoo into an animal refuge. Right now the cramped, rusted cages are built in such a way that it's impossible to secure the animals so that the cages can be properly cleaned. 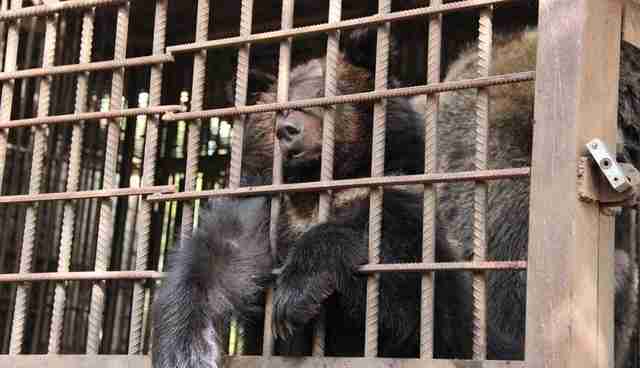 As a result, an overwhelming stench fills the cages, and the wolves and bears often press their noses between the bars. 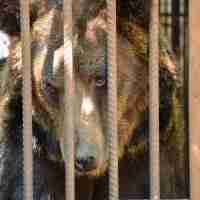 Lionel de Lange, a South African expat on the ground in Ukraine, said that Zhora, a male bear who has been in the zoo for at least 15 years, "gets stressed and stamps his paws and bangs his head against the bars." Given the ongoing war in Ukraine, these animals depend on volunteers to save them. Facing economic collapse, Ukraine's government dedicates its stretched resources to fighting pro-Russian mercenaries in the east. De Lange and other LAEO volunteers have gone door-to-door collecting donations of food and money to keep Ukraine's zoo animals fed. 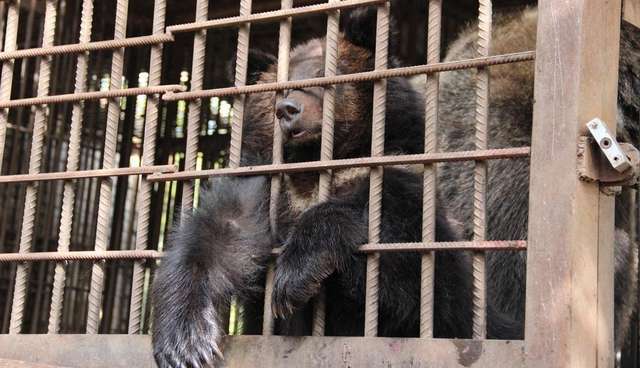 But they need more support if they are going to free these bears and wolves, and nearly two hundred other animals, in this abandoned oligarch's zoo from a life of dreadful confinement. If you have any loose change in your couch to spare, please donate it to this urgent Indiegogo campaign that ends Friday, by the end of the day, EST. The volunteers for the Lawrence Anthony Earth Organization, Ukraine Chapter have until winter sets in to construct the new sanctuary and free these animals from their disgusting cages and give them a new life.